We are currently looking for volunteers to support our teachers as classroom assistants. Attention, this is not a free volunteering opportunity. Read the announcement carefully. 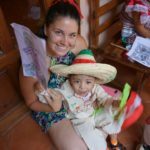 During a volunteer’s stay with us at the Centro Infantil de los Ángeles, volunteers are assigned to a particular area to help at the daycare in one of our nine classrooms. Occasionally volunteers have the opportunity to help with local fundraising events by conducting outreach and assisting with set-up and clean-up. 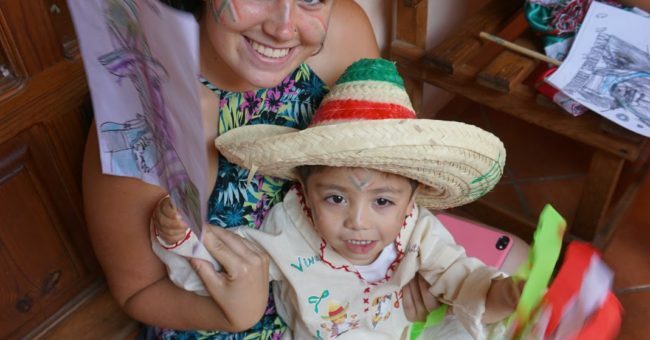 Volunteers are requested to work at the daycare Monday through Friday from 9:00 am-3:00 pm. Volunteers stay in our Volunteer House located just behind the daycare center. We charge an application and housing fee which includes weekday breakfast and lunch Monday through Friday (served at the daycare), all linens/towels, 7 days per week cleaning services, and WiFi/cable. The house has 5 shared rooms with warm running showers, a large outdoor patio, full kitchen, dining room, and large lounging room. The application fee is $50 and the housing fee is $180/week, $650/month, and $550/month for more than 2 months. To clarify, the volunteer house operates like a guesthouse. We have a full-time housekeeper, fully stocked kitchen, free WIFI, and laundry services. We also include breakfast & lunch at the daycare for all volunteers Monday-Friday.